Nine Sudanese military Officers have been sentenced to between two and five years in prison for their role in an alleged coup against the Sudanese government last year, a lawyer said on Sunday. “Today the military court issued its decision about the members of the Sudanese Armed Forces (SAF) who have been accused of a coup. It gave various jail sentences from five years to two years against nine of the soldiers,” one of their lawyers, Hashiem al-Jali, told AFP.All were expelled from the military but a 10th accused was freed for lack of evidence, Jali said. 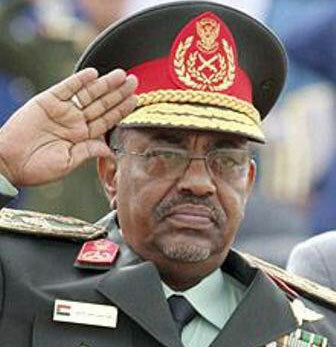 He added that the heaviest sentence, five years, went to Brigadier Mohammed Ibrahim who played a role in the 1989 coup which brought the current regime of President Omar al-Bashir (photo) to power. They are veterans of the country's 1983-2005 civil war.